Palo Alto High School alumni are fighting a plan to put large solar panels in front of the school, claiming they will block the view of a historic tower and change the look of the school. Marianne Favro reports. 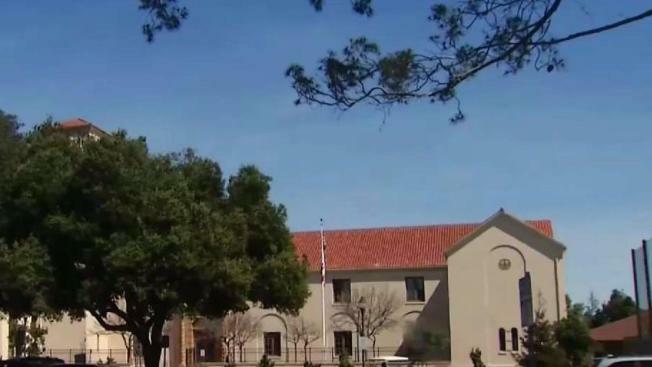 Palo Alto High School alumni are fighting a plan to put large solar panels in front of the school, claiming they will block the view of a historic tower and change the look of the school. The Palo Alto Unified School District approved a plan to install solar panels over the school’s front parking lot, facing El Camino Real, right as the school’s 100 year anniversary nears. Many alumni oppose the plan, claiming it will alter the school’s view. "The primary concern is that it obstructs the entire view of the historic buildings," said Palo Alto High graduate Edith Miller, she is head of the alumni association, class of 1963. Others believe the solar panels would make an important, new statement about the school. "I think solar energy is very important, it's good for the environment and it's more important than the view of the tower," said current Palo Alto student Hua Zheng. Like Zheng, Leon Rochester supports the solar structure, he and his wife have lived in Palo Alto for 45 years. "It won't look as quaint but solar panels are very good," Leon said. Miller said she supports solar power too but would like to see them installed in the back of the school instead. The solar panels are expected to save the high school as much as $16,000 a year and work on the structure is expected to begin this summer.